From time to time, I post links to interesting endurance-related articles, items, and ideas that I've come across. (1) An investigative article on why Kenyans are world-beaters, by my training buddy, the all-around-inspirational Kendra Goffredo. 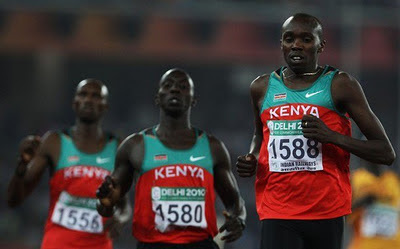 Race leader and two guys in danger of forced deportation. (2) Some wicked cool saddles. Most high-end saddles clock in at around 200 grams. 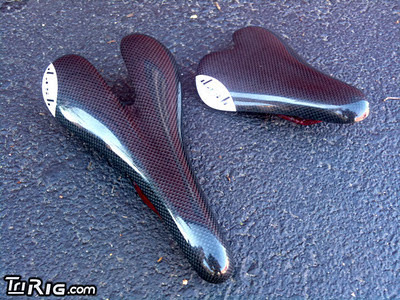 These saddles by Dash Cycles are about 1/4 of that weight. You pay for what you get -- their m.4 road saddle retails for $750 -- but what you get is a 47-gram wonder. 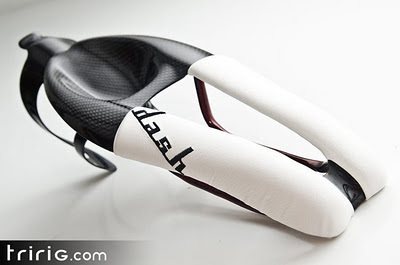 TriRig.com has a review of Dash's time trial saddle that weighs less than 100g, and comes with water bottle bosses on the back. (3) Bike-part clocks and lamps by "Clocks, Cleats, and Cranks." They're nutty but kind of neat-looking. 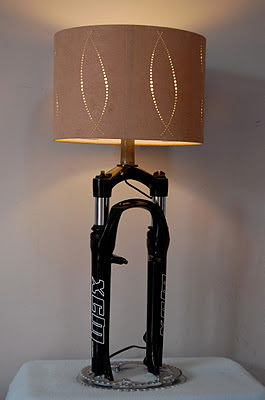 Lamp made from mountain bike shocks. (4) A lucid explanation of which extension shapes work best in what contexts. 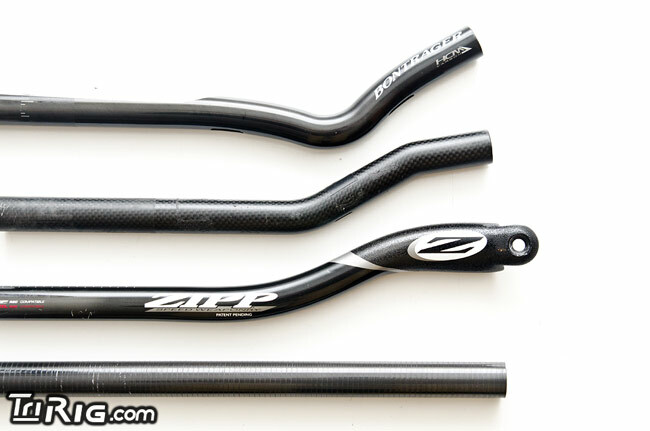 TriRig.com, a truly terrific site, comes through again. Race Report: Thank you, Big Sur! May I have another! He's going the distance! He's going for... speed? Damon Taaffe. Awesome Inc. theme. Powered by Blogger.